A cinema movement arising in Brazil in the second half of the 50s, Cinema Novo launched a critical perspective regarding movies produced in Brazil by studios such as Vera Cruz. Its directors, critics and theoreticians aimed at countering the esthetic values of a cinematographic culture dominated by industrial interests with new ideas. Its films inaugurated what were called the “adventure of creation”. At the center of the debate of the movement’s young filmmakers – influenced by Italian Neo-realism, the French Nouvelle Vague and contaminated by the developmental spirit of the Juscelino Kubitschek era – was the production of a Brazilian cinema in which the esthetic elements would find a balance between the “cinema de auteur” and the political preoccupation with forming a “national conscience”. 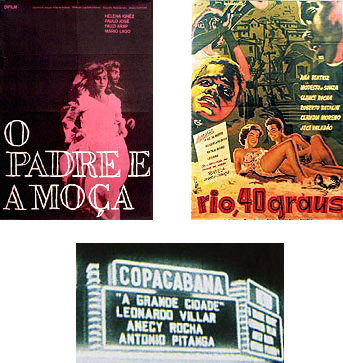 Although the nucleus of Cinema Novo was structured on the work of director Nelson Pereira dos Santos and included important filmmakers such as Ruy Guerra, Joaquim Pedro de Andrade and Cacá Diegues, the movement’s most famous name was without a doubt that of Bahian director Glauber Rocha. 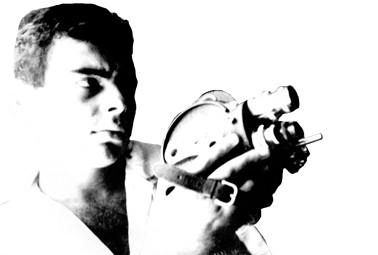 Theoretical formulator and visionary of the Cinema Nova esthetic – “an idea in your head and a camera in your hand” – and director of such films as Deus e o Diabo na terra do sol (God and the Devil in the land of the sun (1964), Terra em transe (Enchanted earth) (1967) and O dragão da maldade contra o santo guerreiro (The evil dragon against the warrior-saint) (1969), his works and opinions ensured his place among the great contemporary filmmakers. A radical critic of the country’s political and cultural reality during the first years of the military regime, his movie Terra em transe (Enchanted earth) was a fundamental reference for the Tropicalist movement. The film’s impact on Caetano Veloso led to a new creative impulse in his career and was inspirational in his writing the song “Tropicália”.